So this is apparently the point in the Spider Island mega event where I feel a little burnt out by the excess of crossovers and miniseries. 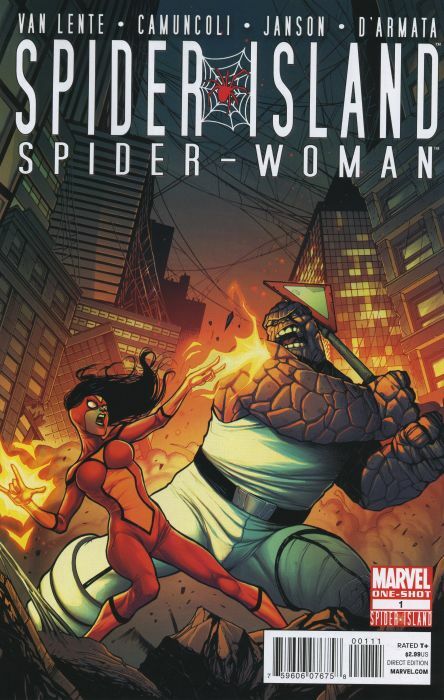 The Spider-Woman Spider Island one shot was about as memorable as it was necessary to the advancement of the overall story. The comic book certainly wasn’t offensive or terrible in any way, but its existence nevertheless was questionable at best and an indication of industry excessiveness at worst. I’ve been quite generous (and sincere) with my praise for a number of the Spider Island tie-ins since this event kicked off in early August. At first I was incredibly skeptical by the sheer number of crossovers Marvel was pumping out connected to this event. It just seemed like one big ploy to try and make some coin by attaching a number of B-list and C-list characters to Marvel’s most popular superhero. That still may be true, but in most cases – especially the Cloak and Dagger, Spider-Girl, Venom and Herc tie-ins, the plethora of Spider Island comic books have entertained and gotten me invested in some characters and storylines that I might have otherwise overlooked. I was actually shocked when Marvel started to make its plans clear earlier this year for Spider Island that Spider-Woman wasn’t going to play a bigger role in the event. Between her spider powers and the fact that she already teams with Spider-Man on the New Avengers, I thought for certain that Jessica Drew’s Spider-Woman was going to get her own three-part miniseries along with Cloak and Dagger and Shang Chi. 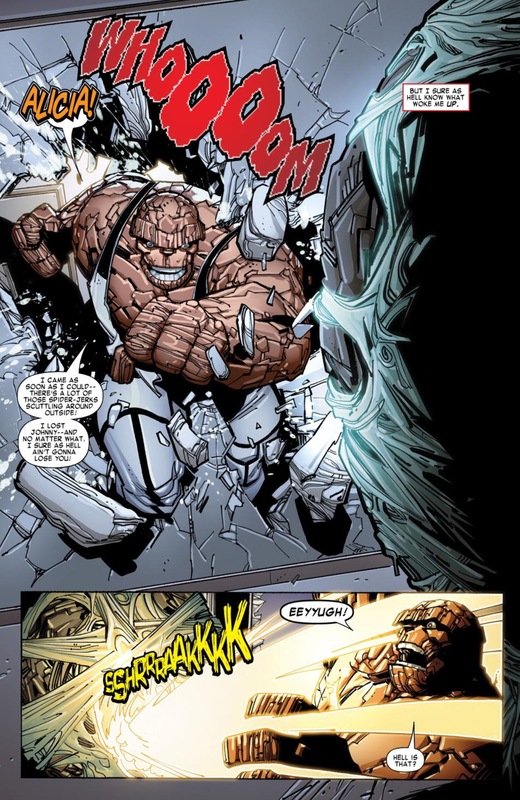 What we have instead is a rather flimsy one-shot issue that involves Reed Richards asking Spider-Woman to rescue Ben Grimm/The Thing’s former love interest Alicia Masters because her DNA may provide insight on how to cure the spider epidemic infecting the city. 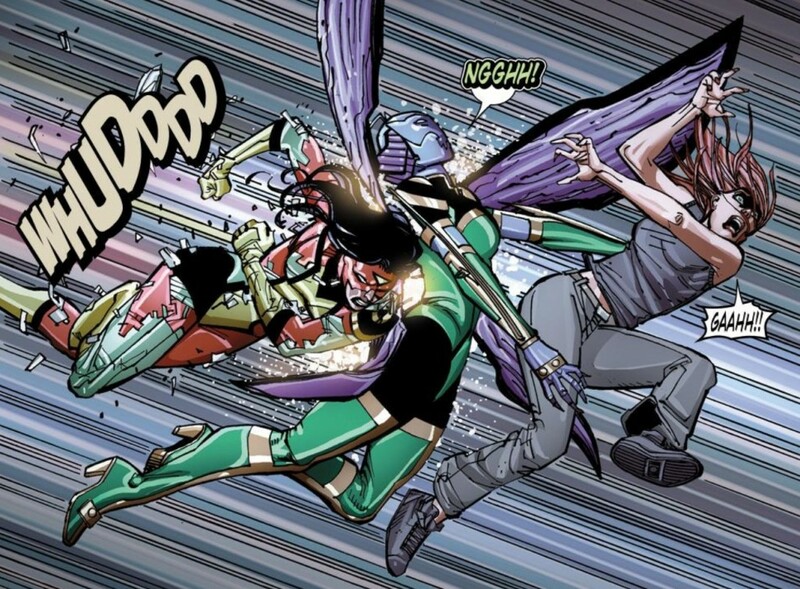 The head-scratching thing is Grimm inevitably ends up on the mission with Spider-Woman, who’s fighting off a minor character with zero to any connection to the Spider-Man universe in Gypsy Moth. 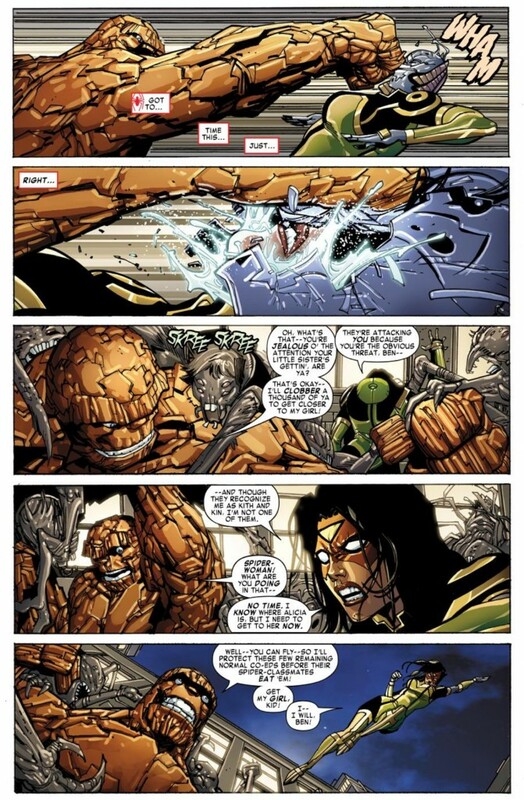 So the question becomes, why not just send Grimm to get Masters instead of Spider-Woman and do a one-short focused on The Thing and the rest of the Fantastic Four (another group Spider-Man is teaming with) trying to find a cure for the epidemic? While I’m certain people could poke a logic hole through any comic book, the sheer obviousness of this problem in the Spider-Woman one-shot just cheapens its whole inclusion in this otherwise very enjoyable crossover event. 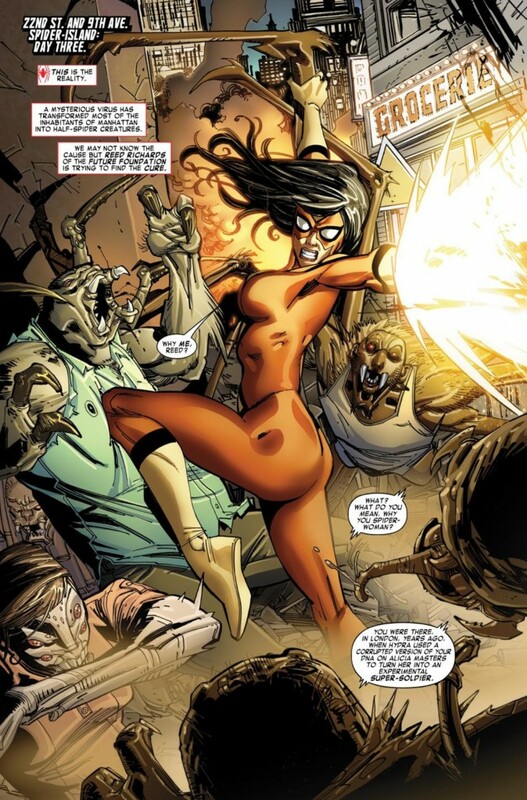 What did Marvel ultimately gain by doing a quick and dirty one-shot around Spider-Woman? And what did this story do to advance anything in the overall Spider Island plot that couldn’t have been explained away in the main Amazing Spider-Man series, or over the course of a few panels in one of the other miniseries/one-shots?